So you want to book a Nevis or St Kitts shore excursion? Since establishing my web site, I have received many e-mail enquiries (from both cruise ship passengers and stay over visitors) about available tours in St. Kitts and Nevis and how to book a Nevis or St Kitts shore excursion. In response to your repeated requests for more information about St Kitts taxi tours and other exciting St Kitts cruise excursions available for booking, I have put this St Kitts shore excursion page together. This page compliments the other pages about St. Kitts Nevis adventures, quad bike tours, St Kitts tours and island safaris, eco-safari tours, as well as Royston's personalized (island, hiking and beach/snorkelling) tours. This tour visits Basseterre with its compliment of stores, stone structures, historic buildings and landmarks including “The Circus”. From Basseterre you will tour the island with stops at the Roman Catholic Co-Cathedral and Romney Manor home of Caribelle Batik. Your tour will continue to the Brimstone Hill Fortress National Park, a UNESCO World Heritage Site that stands at an elevation of 750 feet above the Caribbean Sea. This journey into Kittitian history climaxes with a sumptuous West Indian buffet lunch at the elegant plantation setting of Rawlins Plantation Inn. Includes: Driver/guide, air conditioned taxi, entrance fees to National Park and lunch at Rawlins Plantation. 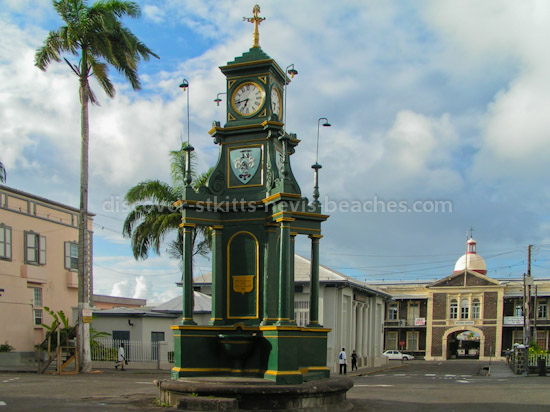 This tour visits Basseterre with its compliment of stores, stone structures, historic buildings and landmarks including “The Circus”. From Basseterre you will tour the island with stops at the Roman Catholic Co-Cathedral and Romney Manor home of Caribelle Batik. The tour ends at the Brimstone Hill Fortress, National Park, a UNESCO World Heritage Site that stands at an elevation of 750 feet above the Caribbean Sea. Includes: Driver/guide, air conditioned taxi, entrance fees to National Park. Discover a mysterious world, of lush mountain forest even from your approach. A place of rare beauty that is the islands’ richest reservoir of bio-diversity. See a rainforest alive with exotic plants like heliconias (red and yellow) bamboo, ferns, palms, elephant ears and breadfruit that festoon the area. Sample some of the local fruits along the way (guavas, strawberries, coconut, grapes and soursop). The area is also abundantly alive with butterflies, caterpillars and colourful lizards. Under the careful guidance of guide(s) you will visit plantations of yam, potatoes and bananas with an opportunity to interact with local farmers. Beautiful song and hummingbirds adorn the trees under the canopy of creepers and vines. Observe the drop in temperature and increase in moisture as you venture deeper into the forest. Coursing crystal clear streams and a waterfall (seasonal) accentuate and make your experience most memorable. 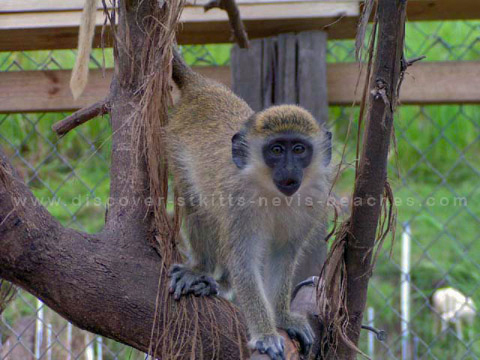 You might even be lucky to catch a glimpse of the African green vervet monkey and much more. Includes: Local pastries, sweets, sandwiches, fruits and local drinks. Along picturesque roads and trails, through sugar cane fields and lush green hillsides. This trail is further accentuated with a descent into the lush tropical forest of the Olivees Mountain. All riders are required to sign a disclaimer. 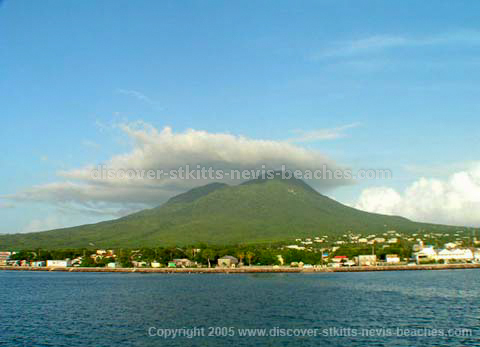 Tour the highlights of St. Kitts’ “sister island”, Nevis. You will board the local ferry and take a 35 minute cruise along the Southeast Peninsula of St. Kitts, bound for the Port of Charlestown. On Nevis, your local driver/guide will provide you with an overview of this charming island paradise, in air-conditioned comfort. You will pass through the sleepy West Indian town of Charlestown, featuring several restored buildings dating back more than 300 years, en route to the Nelson Museum. Here, the curator will provide a historical perspective of Admiral Nelson’s role in the Caribbean. Feel free and take time to enjoy the largest collection of Nelson memorabilia in the Caribbean. Other attractions are the 18th century sugar mills, plantation estates and the Botanical Gardens at Montpelier. Includes: Round trip ferry to Nevis, taxi tour on Nevis, bottled water and entrance fees to museum and Botanical Gardens. If you would like to receive more information about pricing or booking, or if you would like to make direct contact with a tour operator who can assist you in arranging a Nevis or St. Kitts shore excursion, please complete the shore excursion enquiry form below.